PRESS PLAY: The channel will feature long-running programmes like the audience favourite Hill an' Gully Ride. Since 1984, the Creative Production and Training Centre has been a shining beacon dedicated to showcasing a unified Jamaica, populated by people immensely proud of the island’s culture, history and traditions, grounded in the knowledge of their history and achievements. 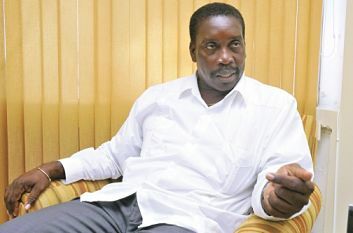 Three decades later, the CPTC is poised to take its mission one rung higher, thanks to the rebranding of its popular cable channel Creative Television (CTV), Jamaica’s longest-running cable channel (recognized by researchers as the island’s number one choice as arts and culture), as JamVision. Representatives from the culture ministry, the local arts community and the media fraternity gathered inside the agency’s large TV studio on Thursday to bear witness to JamVision’s official launch. Providing programmes to all free-to-air and cable platforms that are interested in broadcasting the content, JamVision will carry largely General Viewing and PG-related programmes, adhering to a strict policy in regard to appropriate, viewer-friendly content. JamVision will air on Flow Legacy channel 116, Digicel Play channel 18, Flow AVS channel 106 and on cptcjamaica.com/jamvision. 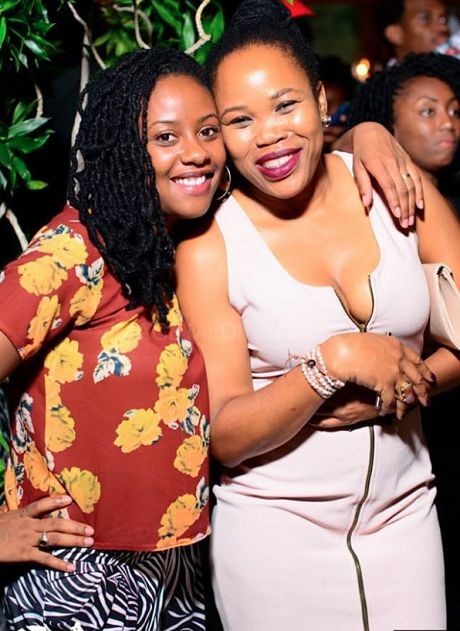 For her part, culture and entertainment minister, Olivia ‘Babsy’ Grange sees the arrival of JamVision as a means of bolstering national pride and patriotism and promote Jamaica’s international and transnational image, strengthening Brand Jamaica. LIFT EVERY VOICE: Spencer belting out her entry to the delight of the audience; the Titchfield High Choir takes centrestage. Audia Spencer’s relatives and well-wishers beamed with pride at the front of the stage, as she gave a hair-raising rendition of “Yesterday,” the Mary Mary hit that helped her secure the top prize going at Sunday’s National Children’s Gospel Song Competition – first-place soloist in the age 11-15 category – at the Ranny Williams Entertainment Centre. The cameras worked overtime and the large crowd cheered as the pint-sized 14-year-old phenom, a resident of Tredegar Park in St. Catherine, showed off her swooping vocals and multi-octave range – an outsize talent combined with a captivating stage presence well beyond her tender years. You got a lot of that while taking in the over 20 performances at Sunday’s renewal of the annual songfest, as the teen and tween performers displayed the kind of vocal maturity, stagecraft and energy that makes you do a double take. In a competition split into three categories (choirs, ensembles and soloists), for the 6-10 and 11-15 age groups, everybody brought their cream-of-the-crop chops and can-do spirit to the main stage, but the evening’s most remarkable performances came from the well-groomed contestants of Alpha Primary, Mona Prep, Papine High, Titchfield High and several soloists who knocked our socks off, taking home trophies and other prizes for their remarkable efforts. 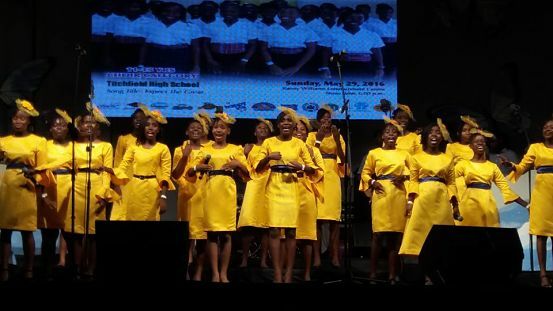 This year’s successful staging of the National Children’s Gospel Song Competition continued the rich tradition of the JCDC showcasing the dynamic gifts of our youngsters across the island through the performing arts, while paying glowing testament to the singular and timeless appeal of gospel music to us as Afro-Caribbean people. The adults never fail to sizzle in the spotlight when it comes to the senior competition (the National Gospel Song Finals), and it’s truly something else to see (and hear) the kids having and enjoying their shining time. 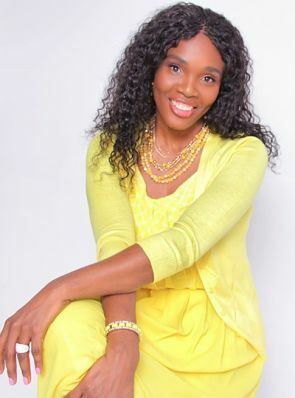 Phenomenal talents like Audia Spencer and St. Aloysius Primary’s Kevin Scott, to name a few, make it abundantly clear that powerful gospel singing will be alive and well in Jamaica for years to come. As for the rest of the 2016 JCDC season, there’s much to look forward to, culminating, of course, in the well-anticipated Independence Day celebrations at the Grand Gala inside the National Stadium to warm us up for the Rio Olympic Games. ‘ALL’ NIGHT PRAISE: That Kevin Downswell is an alum of the JCDC’s National Gospel Song Competition, which played a significant role in launching his career, makes it only fitting that the gospel star is partnering with the cultural agency in launching his hotly anticipated new album, All the Way, on June 4 and taking the show on the road via an islandwide tour, coming to a town near you. Going from coast to coast, our January cover star will share the stage with the top ten finalists in this year’s competition, along with other guest artistes, treating gospel lovers to a praise-and-worship ministry that promises to electrify and enlighten. At the June 4 flagship show, taking place at the Ranny Williams Entertainment Centre, guests performers will include Levy’s Heritage and Carlene Davis. The album itself features appearances by Papa San, DJ Nicholas, Jermaine Edwards, Rondell Positive, Perpetual Praise and the On the Shout Band. HIGH AND ‘MIGHTY’: Not many people outside local gospel circles know that Prodigal Son (aka Calvin Whilby) has a younger brother who’s been making a name for himself in the gospel game for quite a few years now. 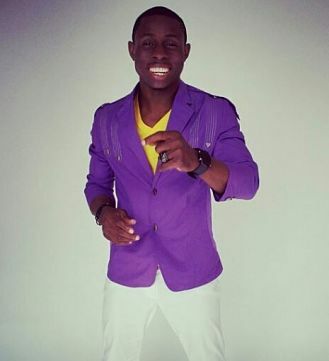 The overseas-based Jason Mighty, who has a handful of hit singles, notable collaborations and well-received albums to his credit, is gearing up to celebrate the release of his newest effort, a 17-track album titled Favour, on June 25 with a big-bash launch at the Miracle Arena in his adopted Toronto, Canada. Among those scheduled to share the stage with Mighty are DJ Nicholas, Kevin Smith, Chozenn, Orianna and One Voice and big bro Prodigal Son. HAPPY FEET: Grange and Lubert Levy dancing up a storm front-of-stage. 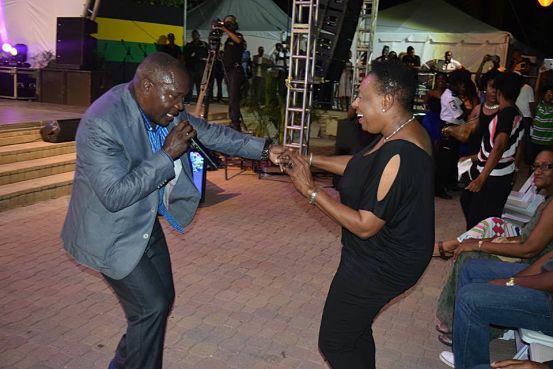 MINISTER ‘Babsy’ Grange grooved all night. Levy’s Heritage rocked the crowd, Voicemail-style, with their Christian dance moves, and Kevin Downswell brought the night to a triumphant close with a selection of his big hits and crowd-pleasing stagecraft. Those are just a few of the highlights at Monday’s grand Labour Day gospel concert inside the Emancipation Park that drew a mammoth crowd, a wide cross-section of Jamaicans who jumped and waved and sang to their hearts’ content before returning to work the next day. 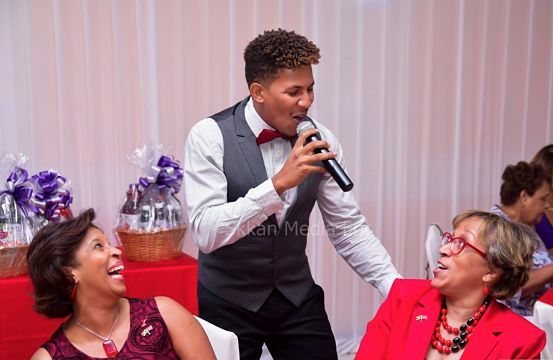 Energetic emcee Markland ‘Action’ Edwards (whose GoSplash returns August 1, with Dietrick Haddon), then called on Diamara Neil-Walker, 2015’s National Gospel Song Competition winner, who brought the crowd to its feet with a majestic rendition of “Holy Is Your Name”. Soulful, sublime gospel singing at its absolute best. Concertgoers who weren’t familiar with the ‘Victory Clap’, ‘Church Rock’, ‘Gospel Slide’ and ‘Altar Call’ got a quick crash course in gospel dance moves from the vibrant young ministers of the award-winning Levy’s Heritage, a trio of siblings who are the hottest rising stars in Jamaican gospel right now. They have a bright future ahead. 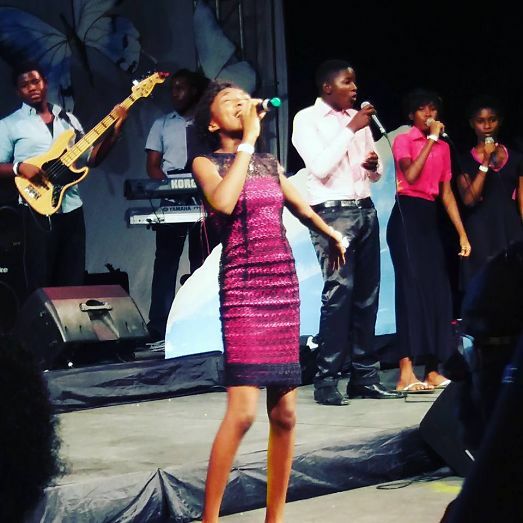 They have even begun to outshine their dad Lubert Levy, a veteran praise warrior who commanded attention with tunes like “Roll Jordan Roll”, “Botheration” and “By Force”. He and Minister Grange danced up a storm front-of-stage, with the crowd loving every minute of it. Taking the stage after a short-and-spicy performance from Sister Pat, Kukudoo also gave the Culture minister a twirl during his set, full of revivalist power. He then made way for Kevin Downswell to take over. Stylishly dressed in eye-popping shades of yellow and red, Downswell wasted no time reminding us why he’s gospel’s reigning man of the moment, launching into songs like “He Saved Me (That’s Enough)”, “It’s Already Done” and “Goodbye World”. Sprightly sing-along versions of “One Day” and “Stronger” were ideal selections to bring the curtains down on a wonderful night to remember. CONCRETE JUNGLE: Wilson, Shepherd and Creary sharing a scene from the play. FROM Anthony Winkler’s The Lunatic to Basil Dawkins’ Guilt Trip, the concept of madness has come in for rigorous exploration in the annals of Jamaican folklore and entertainment. It gets the high-energy comedic treatment in Undercover Craziness, a new theatrical offering from emerging actor-writer-producer Rashiem Shepherd, who crafts a smart and funny story centred on a group of young, mentally disturbed (putting it mildly) rejects whose day-to-day antics at their street-side haunt not only brings the laughs but provokes some serious thought, engaging with the Big Themes of the mental health stigma, behaviour patterns, class and acceptance. 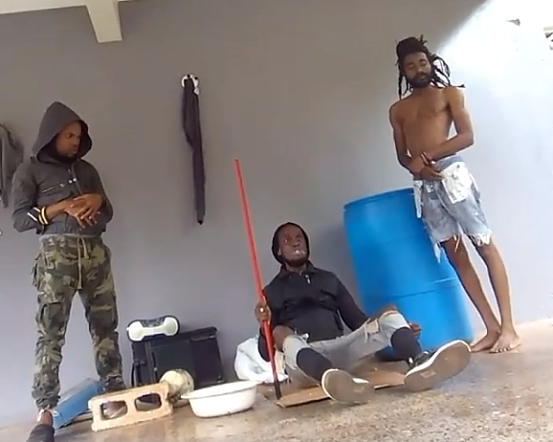 Kadeem Wilson (Charlie) and Everaldo Creary (Jones) lead the cast as a pair of homeless bredrin making life under a shed by a busy street-side. But, by all appearances, everything is not alright upstairs with these two, who bicker like an old married couple but share a strong fraternal bond in spite of their messy surroundings. They do some strange things. Aisha Ritchie, as a nurse with serious control issues, and Oraine Meikle as a dream-chaser in suit and tie, round out the cast. As the audience soon comes to realize, everything is not as it seems. The very small stage inside the Phoenix Theatre’s “second theatre” doesn’t give the actors much room to manoeuvre, but first-time director Kevin Sewell and the cast still manage to use the limited space available to pull us into the story and create the convincing illusion of a street-side spot, complete with bus stop, litter, entrances and exits. Bringing Shepherd’s commendable script to life, the actors deliver believable performances, especially the experienced Creary and Wilson, whose natural comedic flair and excellent timing is offset by the more dramatic intensity of their supporting players – particularly Ritchie, who reminds us why some nurses are just plain scary. ON MESSAGE: The state minister addressing Friday's launch at the UWI Mona Assembly Hall; (below) a photo-op with members of the head table. 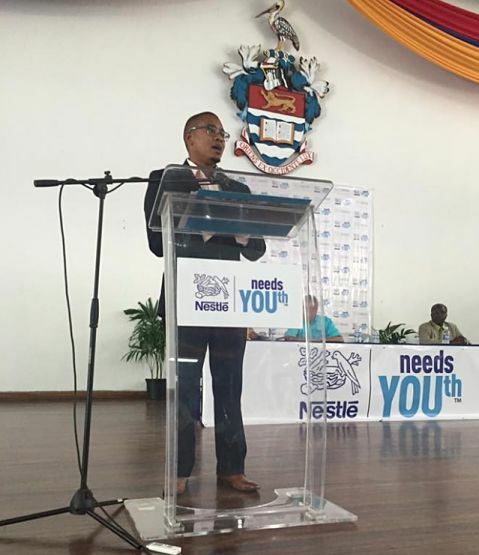 As a teenager, Floyd Green worked in a department store selling shoes to earn money for the summer, so he could relate to the dozens of youngsters who flocked to the UWI Mona Assembly Hall on Friday for the launch of “Nestlé Needs YOUth” initiative and career fair, where they participated in workshops, other activities and interview sessions for the chance to intern, complete summer jobs and be selected for monthly career coaching workshops, as of next month. 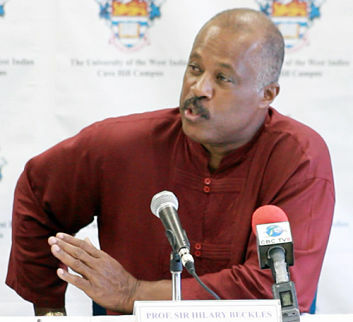 Green, a Munro College alum, delivered an insightful keynote address, citing numerous government projects in the pipeline to address the matter of youth unemployment. 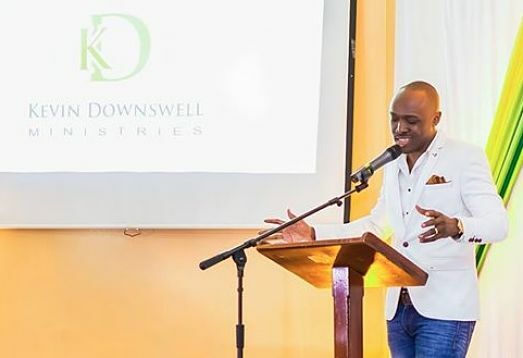 Following the launch, TALLAWAH spoke with the 34-year-old state minister (Education, Youth and Information) about Jamaican youth and work experience, his remarkable journey to Gordon House, and what keeps him humble. TALLAWAH: Your speech said that the Government is partnering with the HEART/Trust NTA to establish a national apprenticeship programme to address the alarming rate of youth unemployment in Jamaica. How has that been going? Floyd Green: It’s one of the priorities of the Government. We now have an apprenticeship board, and it is one of the reasons why [the] Youth and Education [portfolios] are back together. Part of what we are streamlining now is the placement of our young people and the training of our young people. So we want to expand the HEART programme, especially as it relates to training, because we want to ensure that a lot of our young people, while they’re getting a skill they’re also getting the work experience that is needed. A part of the problem is that when a lot of them leave the education system, they might have the theories but they don’t have the practical experience. And in this day and age, employers are looking for that practical experience. It also helps them in terms of the skills that they need in transitioning between industries. So the Government will have to ensure that the areas in which we have opportunities, we have people who can fill them. TALLAWAH: The Keep Children Safe campaign has struck a chord with Jamaicans. Are you satisfied with how the public has responded? Floyd Green: I love the response. [The campaign] came about as a result of a partnership with UNICEF. We have also launched another campaign called Our Children, which we are using to spread a broader message that every child is our child. We want every Jamaican to treat every child as if it’s their own. Every child is a collective responsibility. And we have successfully embarked on that campaign, and we got good support from private partners. We have incorporated [other initiatives] like Keep Children Safe and Break the Silence, which is about speaking up when you know that children are being abused. All of that we’ve incorporated into the overarching message that every child is our child. TALLAWAH: We’ve watched in awe as you’ve risen from youth leader to G2K President to parliamentarian to Cabinet member. Are you enjoying the ride? Floyd Green: It’s been an amazing journey. Sometimes you embark on a journey and you may not be so sure. As young people, we sometimes doubt our own potential and possibilities. So this has reaffirmed in my mind that whatever you dream you can achieve, if you work hard and set your mind to it. You may think the system is designed against you, especially in politics, which many people say is designed to keep out the young person, but we can break down those barriers. You just have to work hard at it. So it’s been an amazing journey; I’ve learned a lot and there’s a lot more to learn. 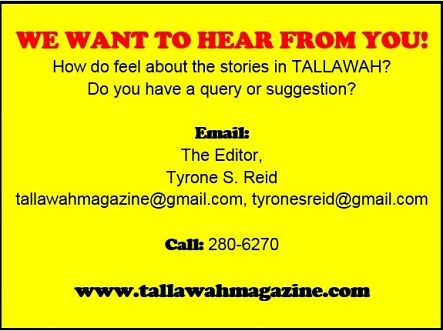 TALLAWAH: Do you get a lot of sleep in your new job? Floyd Green: (Laughs). I learned from Chancellor Hall that sleep is a concept. So you just have to get to work. TALLAWAH: Speaking of your Mona Campus days, your old pal Damion Crawford is hosting a new radio show on Nationwide FM, starting this month-end. When was the last time you guys spoke? Floyd Green: I haven’t spoken to him since, but I look forward to listening to him. I expect him to be balanced and fair. I’m sure he will address the message of prosperity that the Government has embarked upon. And I know he wants Jamaica to prosper and for us to bring prosperity to the people of Jamaica. TALLAWAH: Mr. Green, you’ve been having a swell career so far, flying up the ladder, so to speak, yet you remain so grounded. What keeps you humble? 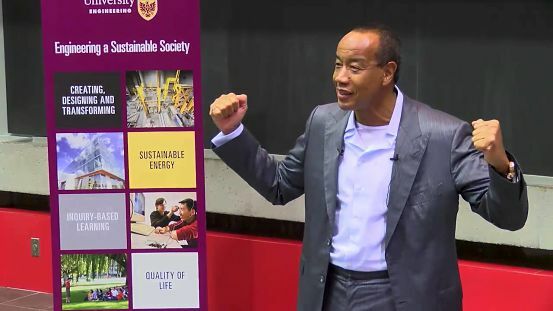 Floyd Green: [This job] teaches you responsibility, because a lot of people have left their hopes and dreams in your care. It has taught me great humility, to recognize that there are people greater than you, but that there are also those who think highly of you. And you have to balance that and remember that you’re here to serve them. It’s taught me to remain grounded and to stay humble and to remember that service is the utmost. 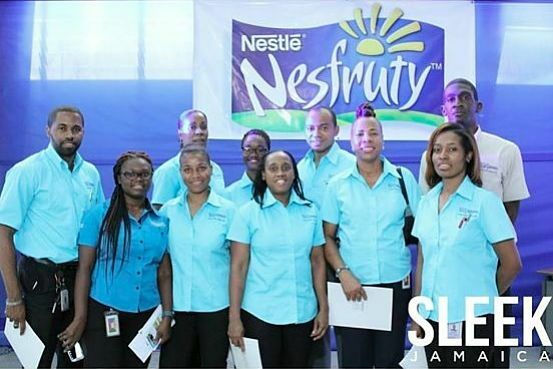 SIGN ME UP: Members of Team Nestlé were on hand to provide internship applications and career advice to the students and job seekers at the launch. As youth unemployment statistics rocket to unprecedented heights globally, one local company I stepping up its mission to create opportunities for youngsters who cannot get jobs because they don’t have work experience, and cannot get work experience without a job. On Friday afternoon at the UWI Mona Assembly Hall, Nestlé Jamaica launched its much-welcomed “Nestlé Needs YOUth” initiative and career fair, drawing dozens of students and young job seekers, who were able to participate in a number of career-related activities – from job interview workshops and résumé rehab clinics to dress-for-success rap sessions and one-on-one conversations with career coaches. “Nestlé Needs YOUth” is a three-year programme (running 2016-2018) through which the company will provide support for a number of selected young people in their transition from education to work, providing them with the tools they need to join the labour market. Friday’s career fair was a hit with students and job seekers who kept the Nestlé staffers busy with their sign-up sheets and advice-giving. “I came to apply for the internship, so I just handed in my resume,” shared Oraine Danvers, a second-year UWI undergrad. “You always hear people complaining that they can’t get jobs, so an event like this is important to provide information and opportunities. League meet this weekend. 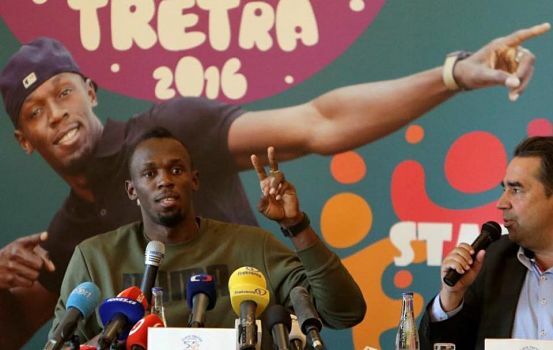 Ahead of the big race, the Jamaican sprint superstar has been meeting with reporters and fans and training up a storm in Prague, where he is currently based. We see a couple of Olympic gold medals in this young man’s future….. Speaking of ambitious sportsmen, is Damion Johnson a future president of Tennis Jamaica? 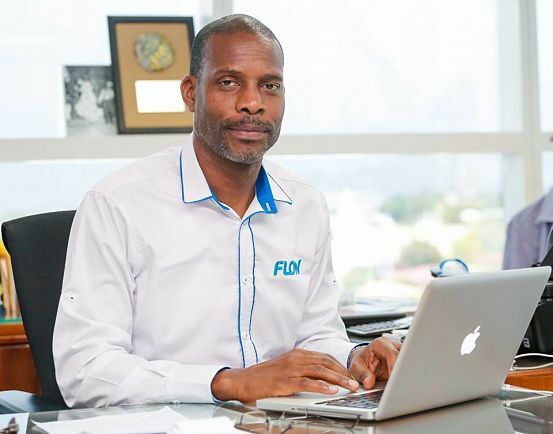 The perennial national champ and part-time coach is parlaying his on-court success into a bigger venture, with the establishment of the Damion Johnson All-Island Open Junior Tennis Championships, slated for May 28 and 29 at the Eric Bell Centre in Kingston. Given his knack for unearthing and nurturing young tennis talent, the competition will feature contestants ranging in age from 10-18….. The Damions are clearly having a moment. 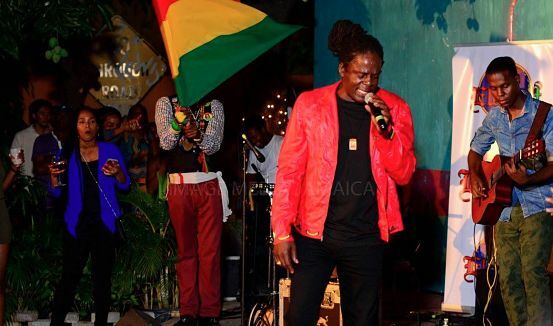 While Junior Gong continues to work his studio magic on that long-anticipated follow-up album to Welcome to Jamrock, Damion Crawford (right) is adding radio host to his long résumé. 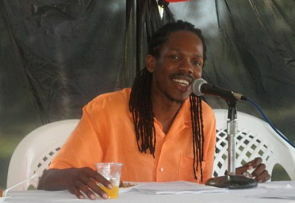 According to online sources, the former MP and state minister for tourism/entertainment will host Straight Forward with Damion Crawford on Nationwide FM, three nights per week (at 8:00 pm), starting May 25. 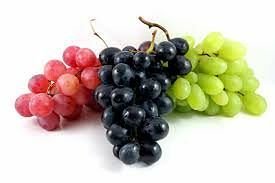 No doubt Crawford and his guests will be on their best behaviour, as they dish and discuss the hot topics of the moment….. 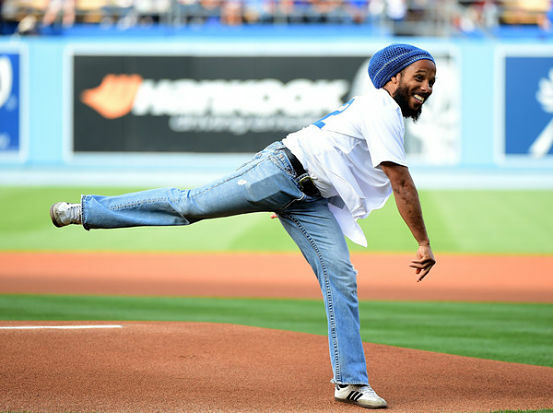 The Energizer Bunny has got nothing on Ziggy Marley, who just keeps going and going and going. The reggae superstar will release his umpteenth solo album, titled simply Ziggy Marley, on May 20 via Tuff Gong International, we hear. 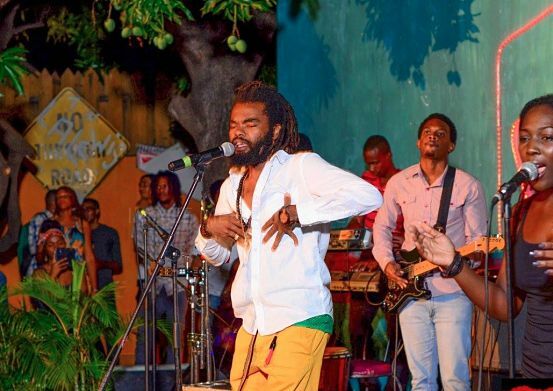 Looking to score yet another Grammy nod, Ziggy says he’s stepping outside his comfort zone this time around, in “exploring new musical ideas.” We can’t wait to hear it….. And kudos to PM Andrew Holness, who just keeps working, working, working. That’s the spirit. But how come we hardly see the missus out and about? 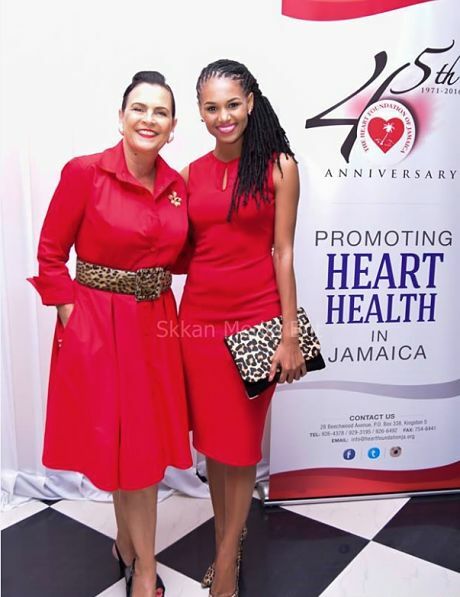 We have a simple request: More Juliet Holness, please! Stay tuned. 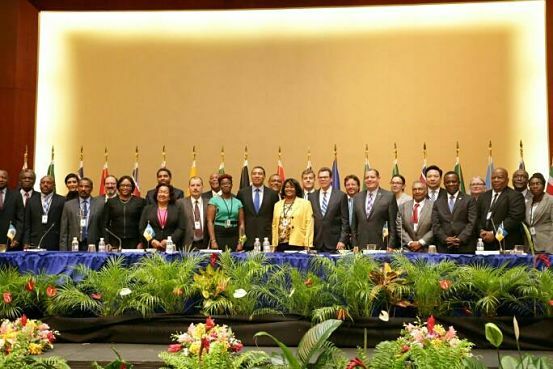 DOLLARS AND SENSE: By all accounts, this week’s 46th meeting of Board of Governors of the Caribbean Development Bank (CDB), and its corresponding events, in Montego Bay, St. James, have been notably beneficial to Jamaica’s contingent, led by PM Andrew Holness and finance minister Audley Shaw. 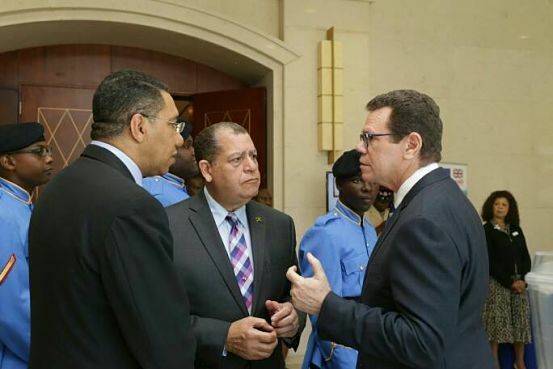 PM Holness met with World Bank Vice President Jorge Familiar, and both leaders agreed to develop a new project on access to finance to support credit to small and micro enterprises (SMEs) and on new innovative financing initiatives, including a debt agreement, resilience swap and a policy-based guarantee. Meanwhile, the World Bank is proving Jamaica with half-a-billion dollars to support the country’s growth trajectory and boost our private-sector development and competitiveness. What’s more, the deal comes with support for our transitioning to clean energy, as well as a regional initiative to provide new skills and jobs for the youth in the animation and digital sectors, and in efforts to improve social and climate resilience in the country. PRIDE OF A NATION: The Jamaican government is serious about enhancing the preservation of our rich sport heritage in a major way. 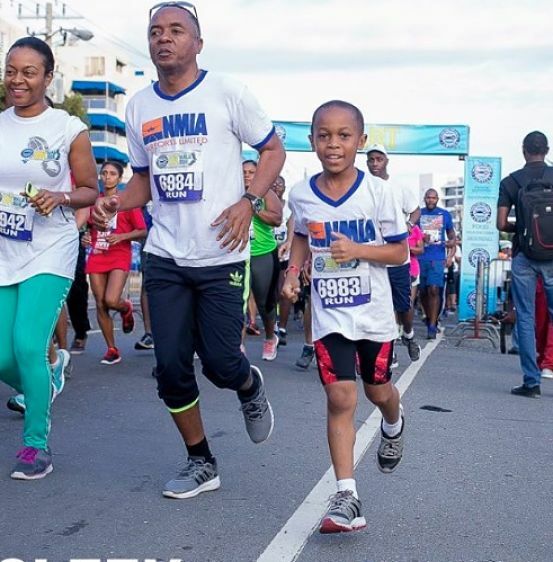 According to Culture and Sport minister Olivia ‘Babsy’ Grange, plans are being fast-tracked for the establishment of a National Sport Museum, which will feature the evolution of sport in Jamaica, the interconnectedness with our culture and future development. 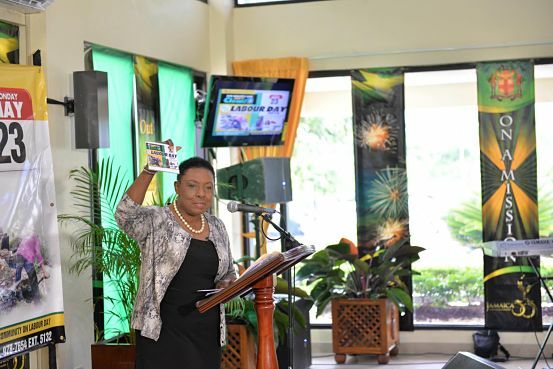 “[It] will serve as a knowledge bank,” says Grange, “and will preserve and showcase the distinctly rich material heritage of Jamaica, the athletes and teams through a collection of artefacts, memorabilia, works of arts, interactive exhibits, lecture series and community outreach programmes.” Under the theme, “Museums and Cultural Landscapes”, May 18 was observed as International Museum Day. JUST THE TWO OF US: Rawlins and Menou get close in this scene from the play; (below) the real Catherine Mulgrave (seated, second left), with members of her family. They say you never know where life will take you. That’s one of the sobering truths our heroine has to come to terms with in Catherine Mulgrave: An African Odyssey, the latest theatrical offering from Mona’s University Players. It’s yet another terrific achievement for director Brian Heap, who crafted the script and helmed the show, a strongly acted and transporting production. That’s why the idea of an odyssey is such an apt description, because what an adventure! Inspired by a real-life slice of nineteenth-century history, the production whisks us from Luanda, Africa, to Kingston, Jamaica, and back to Africa again, as it weaves Catherine’s bittersweet story – the triumphs and tragedies – that exemplifies the collision of fate, destiny, family and trust. A fun-loving little girl, she along with a childhood friend are kidnapped by sailors, placed on a slave ship and taken to the Caribbean. Their vessel crashes off the coast of Old Harbour, St. Catherine. They are taken in by then Governor, the Earl of Musgrave (Paul Issa) and his wife Maria (Hilary Nicholson), who becomes their affectionate, doting patroness and godmother. 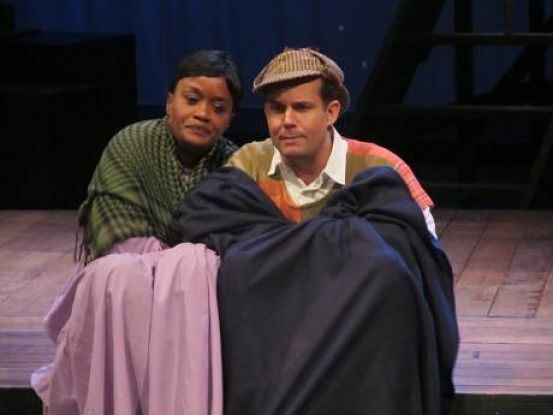 The African children (three in total) are ‘reborn’ as Catherine (Nadean Rawlins), Susan (Makeda Solomon) and John (Cadine Hall) Mulgrave, put through school and basically given a new lease on life. 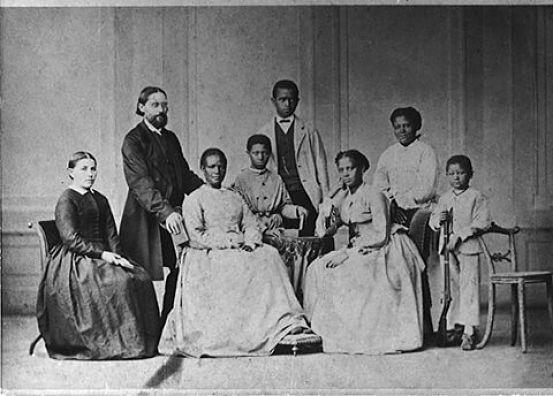 They grow up to become respectable adults – Catherine for one, becomes a schoolteacher among the Moravians in Manchester, marries a fellow schoolteacher and subsequently returns to Africa (the Gold Coast) to work as a missionary by his side. There, she starts a girls’ school but experiences her share of trials and tribulations that sorely test her faith. She becomes a mother and eventually remarries, choosing to share the rest of her life with a white man, a decent European linguist named Johannes Zimmerman (Jean-Paul Menou), a stranger in a strange land who decides to make Africa his home. Throughout it all, Catherine remains a compassionate, diligent and earnest young woman with a humanitarian streak. Rawlins’ laudable portrayal of Mulgrave transforms her into a compelling example of first-class womanhood. Heap was wise to turn the role over to Rawlins. Yes, they’ve long established a director-actor trust (and shorthand), but the actress has the gravitas to bring the role to full-bodied life, and she does precisely that with flying colours. Meanwhile, the staging has its limitations, given the scope of the story, but visually the production is like a mise-en-scene straight out of a museum of African history. There are striking artefacts and props galore that lend the work some authenticity. At the same time, it’s a minimalist production with a very experimental slant (as is the case with a lot of plays by this group). It’s the performances, for my money, that give Catherine Mulgrave its oomph. Rawlins aside, terrific scene work come from Nicholson (whose remarkable voice is a robust character of its own), Menou (whose lamb-like Zimmerman is full of charm and sympathy) and Solomon, who can turn on the versatility and the pizzazz at the drop of a hat. Issa, Hall, Michael Sean Harris and Melward Morris round out the appealing supporting cast, with Carl Davis lording it over them all as a very god-like figure overseeing the events of Catherine’s life as they unfold. The actors each take turns narrating the show, as it careens towards its powerful conclusion. 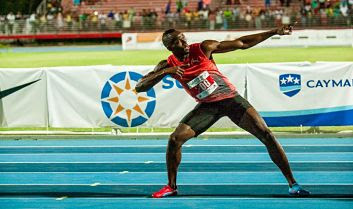 Olympic men’s sprint double defending champion Usain Bolt officially opened his 2016 season at this past weekend’s Cayman Invitational, running the 100M dash in a respectable 10.05 seconds, ahead of compatriot and Racers Track Club stablemate Kemar Bailey-Cole, who clocked 10.12 seconds for second place. Speaking with reporters after his win, Bolt noted, “This was my first race of the season, and I felt rusty, but thank God I finished healthy. I really wanted to run a fast time, as training has been good. 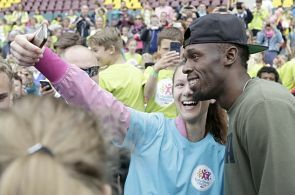 But wining at training and in competition are two different things.” Ahead of this summer’s Rio Olympics in Brazil, Bolt will compete in Ostrava and at the National Senior Trials here in Kingston. BEST OF THE BEST: The winning team are joined onstage by host Jenny Jenny, Flow's Stephen Miller, and Culture minister Olivia 'Babsy' Grange. Romario Douglas, Teroy Dobson and Shamar Blake were swarmed by fans as they made their way through the thick crowd inside Jamaica College’s Karl Hendrickson Auditorium on Sunday night. 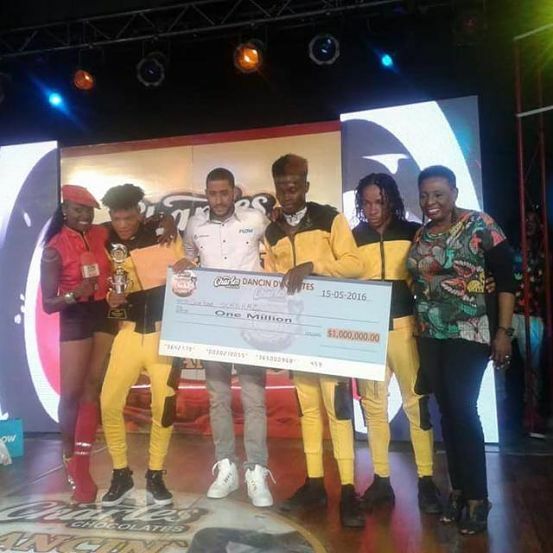 The youthful, athletic and extremely fit dancers – who go by the stage name Overload Skankaz – were only moments earlier announced as the 2016 winners of Dancin’ Dynamites by showrunner Jennifer ‘Jenny Jenny’ Small. It’s a triumph that the guys had dreamed about and worked for, putting in the long hours of practice to perfect their routines. Deservedly, they secured an attractive prize package: a cheque valued at one million dollars, scholarships to enroll at Edna Manley College’s School of dance, trophies, gift baskets, and sleek new mobile phones courtesy of Flow. Speaking with TALLAWAH on-stage following their big win, surrounded by flashing cameras, television crews lining up to interview them, and sponsors awaiting photo-ops, the young men made it clear that it was their commitment and fearlessness that gave them the edge over everybody else. And it helped, too, that they’d entered the competition before (back in 2012) and got the boot before they could advance to the final round. That disappointment only fuelled their drive to go all the way this time around. “We practise very hard, and we do a lot of campaigning to get the votes because even when you give a solid performance, it’s the fans who have to vote to keep you in the competition. So we did a lot of campaigning,” explains Douglas who, along with his teammates, have learned to go the extra mile for what they want. Ever keen on taking advice from the judges and honing their movement skills, the dancers, who’ve been together since 2009, are convinced that their versatility and innovative streak set them apart from their opponents. Add to that a constant desire to push the boundaries of choreographic creativity. “We are versatile and we have technique. We work on our technique, and we listen to the judges,” shares Dobson.